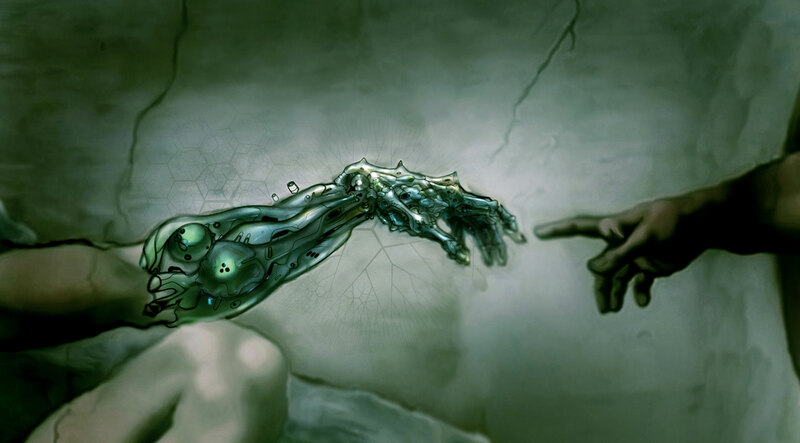 TRANSHUMANISM: Become more than human. | Diva Helmy. Parsons Paris. TRANSHUMANISM: Become more than human. Kevin Warwick works with communication between computer and nervous systems. The last development of his endeavor Project Cyborg was an electronic nervous system to nervous system communication with his wife, Irena. They were able to sense the movement of the other in the same part of their own body. Essentially the pair experienced simultaneous sensations that he describes as a sense like no other, this being the aspect of project her wants to push further. He would like to experiment with the brain’s ability to sense new forms of impressions. This entry was posted in Uncategorized on December 9, 2014 by dah8. 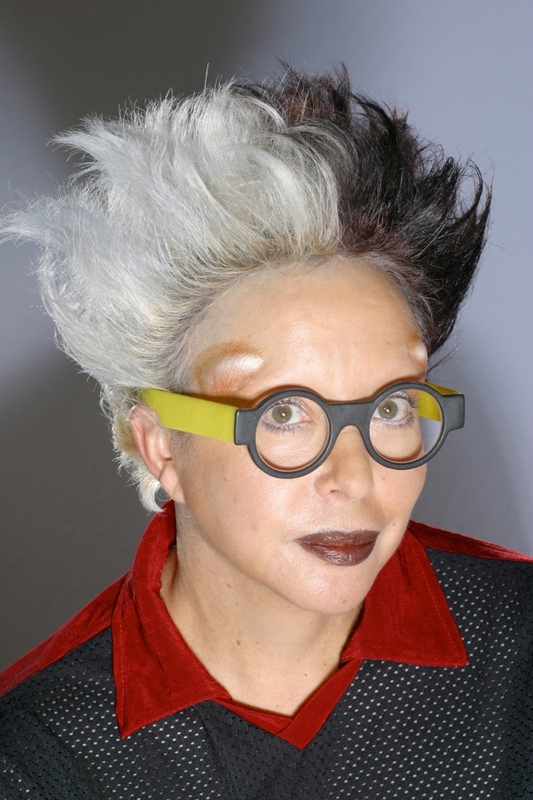 Carnal art is a form of art originating with the work of french artist, ORLAN. In 1993 she received two silicone implants above her eyebrows on her forehead. ORLAN defines carnal art as the following: “Carnal Art is self-portraiture in the classical sense but made by means of today’s technology.” Within the context of transhumanism, artist’s use technology to further the evolution of humans. ORLAN achieves this in a sculptural, primal and performative manner. Although ORLAN does not necessarily refer to herself as a transhuman, one could discuss her body modifications as part of the transhumanist discussion. Transhumans push the boundaries of the physical body. This entry was posted in Uncategorized on December 7, 2014 by dah8. The Tranhumanist Wager: Can We and Should We Defeat Death?. h+ Magazine. John G. Messerly. November 10, 2014. Transhumanist Artists embrace the creative innovations of transhumanity. We are ardent activists in pursuing infinite transformation, overcoming death and exploring the universe. Transhumans want to improve and extend life. We are designing the technologies to improve and extend life. Emotions are integral to our senses and understanding. As artists are testing the theories of the movement we can also see the commodification of singularitarianism begin to develop in an unbiological way but an understandable and achievable way in this moment in history. Transhumanist Arts and Culture. Transhumanist Art Manifesto. Natasha Vita-More. 1982, revised 2003. This entry was posted in Uncategorized on November 23, 2014 by dah8. The movement of Transhumanism encapsulates theories that result in a future wherein humans will live and have the abilities of a being so far beyond that of human today that they will not even be defined as such. Humans are thus is the early stages in our evolution and technology has the power to realize our full potential to exceed our present physical and emotional abilities. The movement of transhumanists believe that humans have the potential to use our relationship with technology to create a world of superintelligent machines, uploaded consciousness, immortality to name just a few. One result of this relationship, drastic life extension and digital immortality, is believed to be eventually achieved through developments in fields such as: Nanotechnology, microbiology and regenerative medicine. Can your data be used to keep you virtually immortal? There are services being developed that allow your loved ones to have access to your data when you have died, in the form of avatars and digital boxes of your secrets and passwords. Eterni.me’s services allow you to become virtually immortal. As chat bots are designed to imitate our speech, this company creates a program that goes far beyond that, they create avatars that are specifically designed to imitate you as an individual to specific people, after you have passed away. Eterni.me is a company that records your textual data and media from email accounts, social media sites, etc while you are still alive. You will be able to modify privacy settings to determine what sites the information is taken from and when you die the people you had listed will be able to skype with an avatar that has access to the library of your data. Loved ones are given access to your social media pages and web accounts you specify as well as given the access to speak with your avatar. Eterni.me requires technology beyond chat bots, it requires artificial intelligence as well. You essentially leave behind an avatar of yourself as a “legacy”, complete with your physical characteristics and voice. In the future you may be able to speak with past generations in this way. There are many problems to overcome. What events will be considered important enough to be programmed for instance. The company has been criticized for creating a system that goes against our natural emotional processes when dealing with death and loss. When faced with negativity, the founder of the company, Marius Ursache, has said, “You get the feeling you’re doing something right when nobody is indifferent to your idea,”. Over twenty thousand people have registered to use the service when it is launched in about five years from now. These two companies offer similar services. Legacy Locker sends your passwords and digital property to loved ones, coworkers, etc securely when you have died and Death Switch goes further by also sending messages. You customize your privacy settings and “post-mortem messages” to be sent. Although what is even more bizzare than this is the fact that Death Switch makes the decision about whether you are dead or not. The New Yorker. “How to Become Virtually Immortal”. Parker, Laura. April 4, 2014. This entry was posted in Uncategorized on November 12, 2014 by dah8.